Fort Lauderdale divorce attorney and commercial litigator Marcy S. Resnik, Esq., a partner with Kahn Chenkin & Resnik, P.L. (http://www.kcrlawyers.com), and her family were recently awarded the “Guardian of Israel” award from the Aventura Turnberry Jewish Center in Miami. Fort Lauderdale divorce attorney and commercial litigator Marcy S. Resnik, Esq., a partner with Kahn Chenkin & Resnik, P.L., and her family were recently awarded the “Guardian of Israel” award from the Aventura Turnberry Jewish Center in Miami. Recipients of the prestigious award are visionaries who are chosen for their efforts to preserve Jewish traditions and heritage and to ensure Jewish continuity through the education of children. Harvard Law Professor Alan M. Dershowitz, a staunch supporter and global advocate for Israel, presented the award to the Resniks and several other families. Professor Dershowitz inaugurated the Guardian of Israel Award in 1993. “My husband and I feel humbled to have been included in this year’s recipients,” Ms. Resnik said. In addition to her law practice, Ms. Resnik is in the middle of a two-year term as President of the Aventura Turnberry Jewish Center, where she has served on the Synagogue's Board of Directors for the past 15 years. She is a member of The Florida Bar, the Broward County Bar Association, the Miami-Dade Chapter of the Florida Association for Women Lawyers, and the Bankruptcy Trial Bar. She is admitted to practice in the U.S. District Court in the Southern District of Florida. Ms. Resnik earned her law degree from the Shepard Broad Law Center at Nova Southeastern University and a B.S. in Political Science from the University of Maryland. About Kahn, Chenkin & Resnik, P.L. Kahn, Chenkin & Resnik, P.L. is a Fort Lauderdale law firm concentrating in commercial litigation, divorce, disability law, real estate litigation, securities litigation, foreclosure defense, and corporate transactions. The firm offers a concierge approach to the practice of law, with an emphasis on personalized and confidential attention. Business owners, professionals and individual clients across Florida work with the partners at Kahn, Chenkin & Resnik to meet their legal needs. Firm clients are located in Miami, Fort Lauderdale, Boca Raton, West Palm Beach, Naples, Orlando, Tampa, Daytona Beach, Jacksonville, Tallahassee, and other cities throughout the state. Details at http://www.kcrlawyers.com. 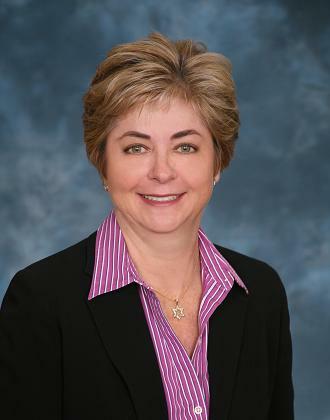 Marcy ResnikPartner with Kahn Chenkin & Resnik, P.L.